Bored starring at your boots while stumbling through the forest hiking? Imagine a unique vacation and experience one of our extraordinary multi-day kayak trips. Paddle through a world-renowned kayak destination on Vancouver Island. Our trips are suited for beginners and intermediate paddlers alike. 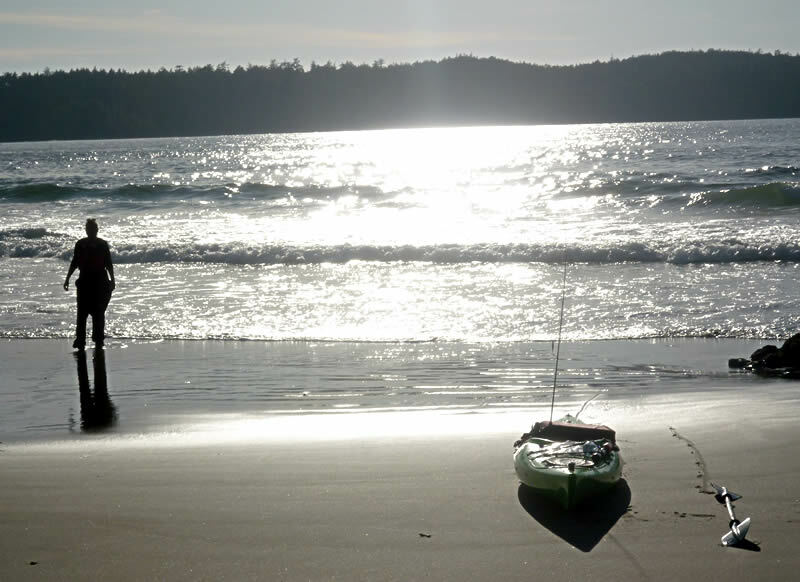 All of our Clayoquot Sound kayak adventure tours depart from the scenic fishing village of Tofino, where we offer you a diverse blend of open coast beach camping and island lodge-based accommodation. 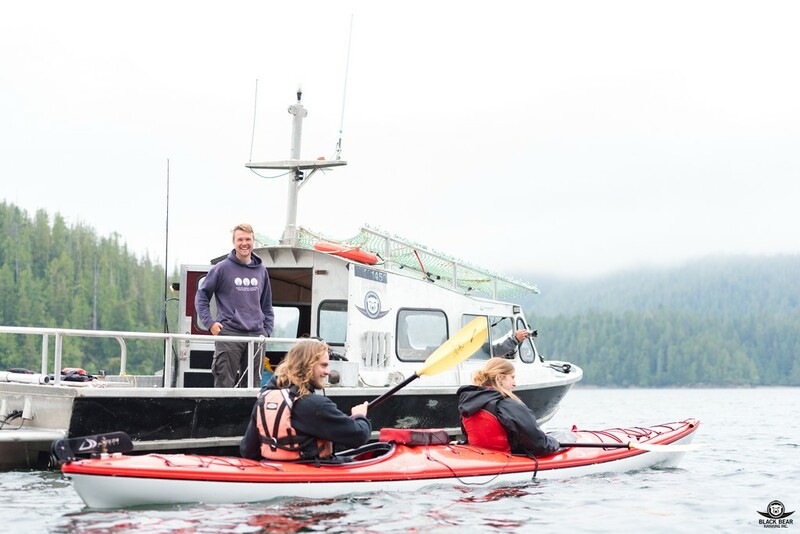 Right after a brief introduction to sea kayaking and the specifics of the environment, you will begin to enjoy a true Canadian outdoor experience with long fjord-like inlets along this rugged Pacific coastline of Vancouver Island. During our excursion, you will observe remote sand-fringed coves and miles of deserted white sand beaches. 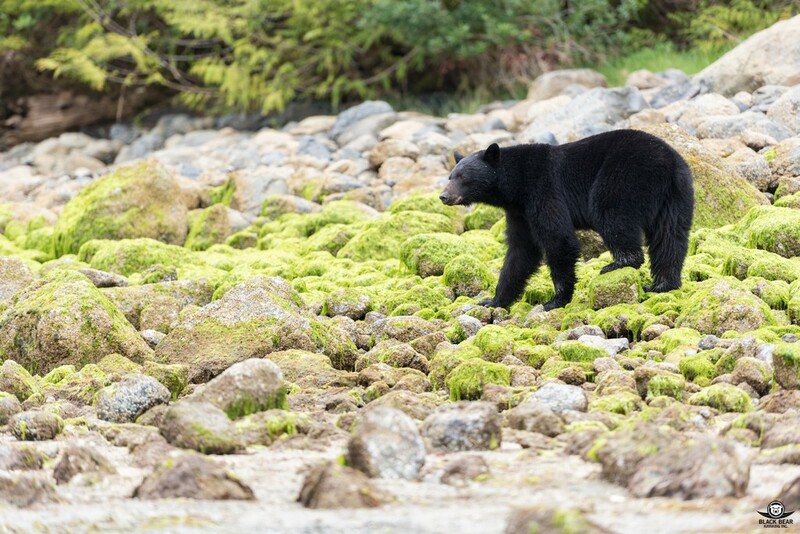 Clayoquot Sound is home to a vast and varied number of mammals and marine-based wildlife that you are likely to encounter in our unobtrusive kayaks. 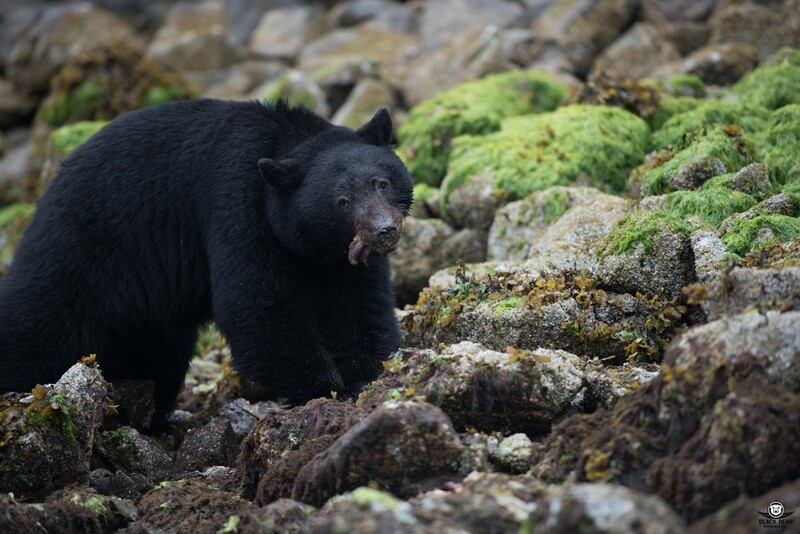 Be prepared to witness black bears, sea and river otters, seals, sea lions, eagles, coastal wolves, orcas, gray and humpback whales, shorebirds and a variety of other sea creatures going about their daily routine of survival. Experience the ultimate 'summer getaway', minus the sore back from lugging a backpack, where your sea kayak will carry all your gear. Take amazing pictures of this incredible place and its abundant animals. Land on isolated beaches that are only accessible by a kayak and enjoy the community of a campfire with new friends …it’ll be fabulous! Included in our kayak adventures are: all meals and light snacks, first class single and double Delta Sea kayaks, paddles, spray skirts, safety equipment and all camping gear - only bring clothes and a sleeping back! Group sizes are min. 4 - max. 8 persons. Minimum age 10 years. This two-day 'weekend-warrior' kayak adventure leads us through sheltered waters up Browning Passage and through the Tsapee narrows. We use the incoming tidal current to get to our designated campsite in Fortune channel, about 5-6hrs spectacular paddling hours from Tofino. 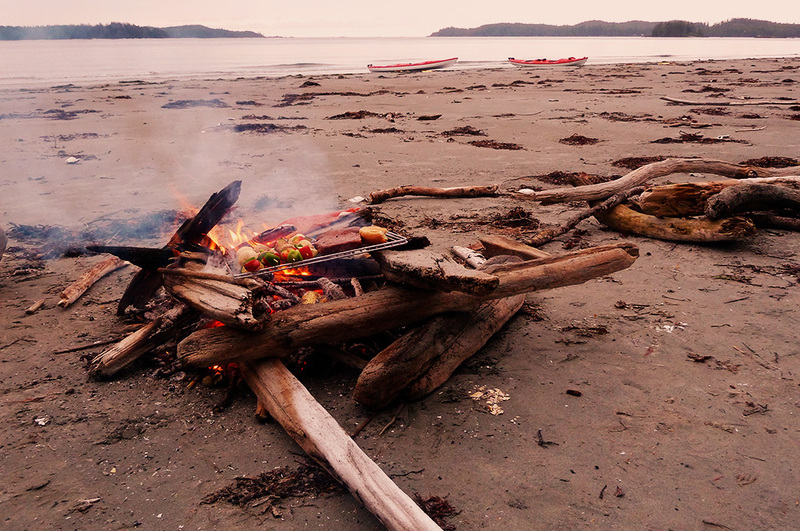 Upon arrival on our little island, we setup our camp and prepare a BBQ. 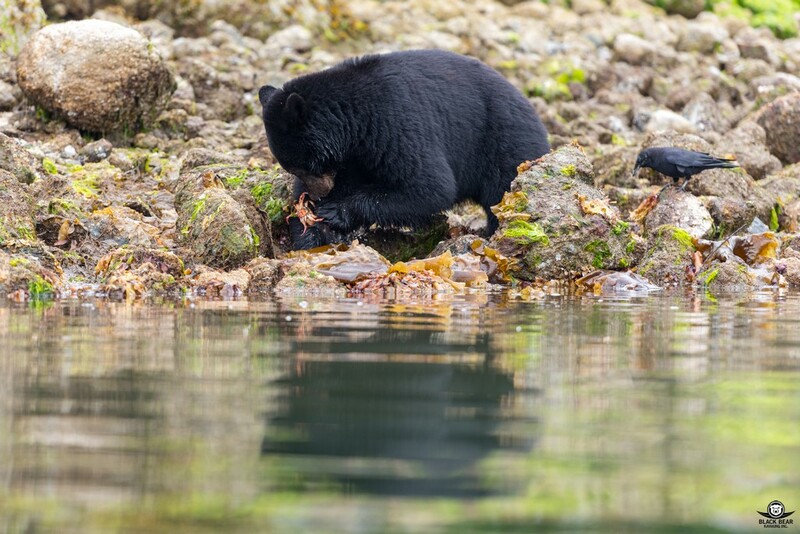 Later on, once the tide is low enough, we set out to a close-by shore where we'll hopefully be able to find some of our coastal black bears. These majestic animals come here to forage whatever the ocean has left for them. Watch them turning rocks to find crabs as well as their interaction with each other and the beautiful environment. 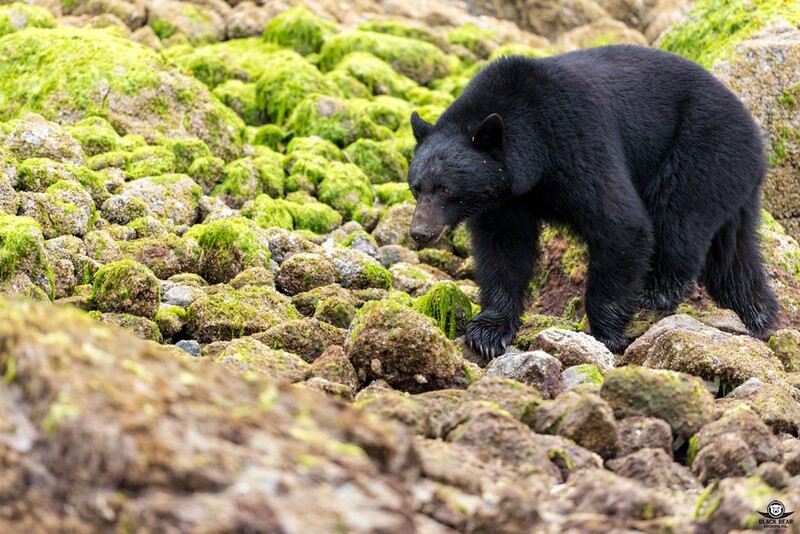 This is the ultimate, safe and unobtrusive way to observe the coastal black-bears of Vancouver Island! Day number two of course starts with a hearty outdoor breakfast, before we enter our kayaks to do some more exploration e.g. to Mosquito harbor ;-) Finally we use the outgoing tidal currents on our final paddle-quest back to Tofino. • Camping gear e.g. tents, sleeping pads and bags are included. Meares Island is the heart of Clayoquot Sound region, north of Tofino. It is also home to Opitsaht, the main village of the Tla-o-qui-aht First Nations. In a 3-day kayak & camping dream, this adventure tour will lead you around Meares, skirting peek-a-boo reefs, fog-shrouded islands and shallow tidal channels surrounded by ancient rainforests. It is simply a remainder of this unique and stunning environment. 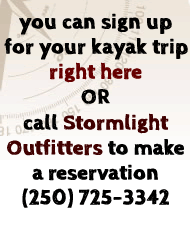 This kayak tour has been specifically designed for absolute beginners or kayakers with minimal experience paddling in tidal currents. For the entire trip we will remain in the protection of the sheltered inlet, void of huge swells or the need to launch off beaches in strong surf. You want the most adventure possible in two days? We got your back! ... with all of this and if this isn’t enough, let’s talk about wildlife: Vargas inhabits a very active wolf pack which tends to frequent our beaches. In addition, sea-otters, seals and sea-lions are commonly seen and even whales can show up in front of our sunset beach at Ahous Bay. As we cannot guarantee any sightings, your guide will teach you about best practises and make sure everything is safe and sound at all times. 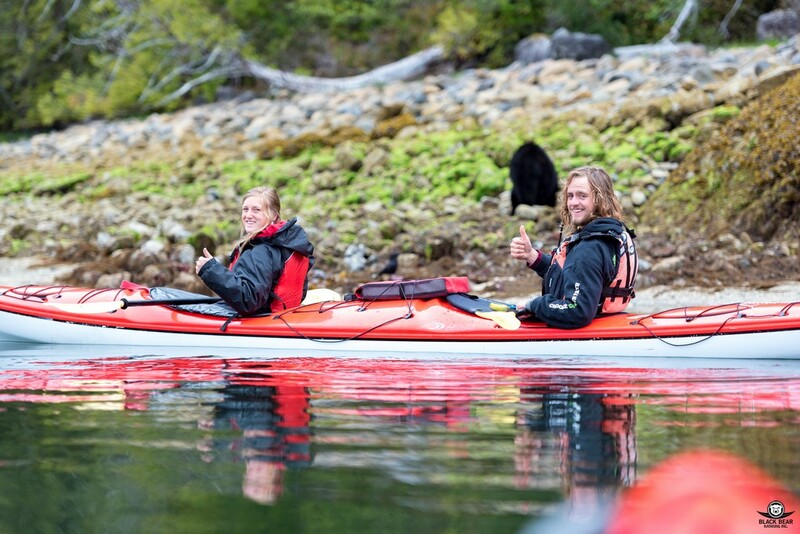 Flores Island is our favorite destination in this kayaking paradise of Clayoquot Sound! With this adventure, we’ll show you why we think so. We are excited to introduce you to an amazing treasure. Located on the Pacific Coast, this wild lagoon offers open ocean paddling alongside white sand beaches and in comparison, the Flores Island’s east coast features all the advantages of a quiet inlet. On our second day we're gonna conquer the 'Walk the Wildside' trail, which we refer to as 'the 'Westcoast trail in 11km ...and without ladders' ;-) 'Walk the Wildside' means hiking barefoot on one of the most spectacular beachstrips Clayoquot has to offer. It also means disapearing into the lush old-growth forest to follow historical paths of the Ahoussat first nations. Experience the freedom of Vancouver Island’s West Coast!